Thanks to all the authors and the book community. Books have shaped me into the person I am today. I don't know what I would ever do without reading. It gives me a way to escape my daily life, so I can roam in worlds I will never be able to explore. It gives me a way to identify with other characters – and to understand characters who are completely different than me. Reading certain stories has definitely opened my eyes. Books give me something to talk about when I feel out of place or awkward. 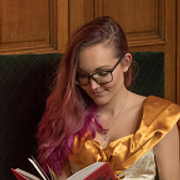 I am terrible when it comes to meeting new people, but books make me feel confident and I love to talk about them. It gives a connection right away if you find someone with mutual book interests. Thinking about books makes my heart happy. When I'm on my way home from work, I get such a happy feeling when I realize I can spend a few hours of my free time on reading. I love to walk in the bookstore and to add new books ot my collection, eventhough I still have a trillion unread books on my TBR pile. Authors make this possible. They have given me words and stories that made me feel understood and part of something special. "A book is proof that humans are capable of working magic." – Carl Sagan. I couldn't have said it better myself. Authors are wizards. I never thought, for one moment, that blogging would have such an impact in my life. 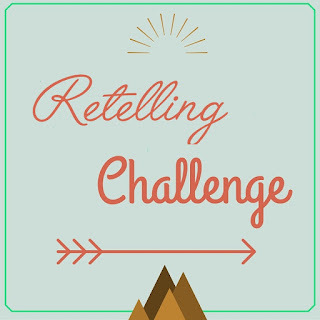 When I started my blog in 2012 I thought it would be just an outlet for my thoughts, but it has grown into something more. I've met people who share my love for books, stories, words and characters. I have found a place where I can rave and fangirl about things that matter to me, without feeling weird or misunderstood. The bookcommunity gets me and over the years, I've made friends that mean a lot to me now. I could do shout-outs to my special blogger friends, but 1. I don't want to forget about someone and 2. You are all valued and important, so this is a shout-out to the entire community. Keep up the good work. Keep talking about books, keep sharing your thoughts and discussing important matters. Mel in Movieland | Best movies I've seen in 2016. I'm not only a bookjunkie. If you follow my blog for a while, you also know that I am a big movie/TV show fanatic. I always list everything I've watched in my monthly recaps, but I thought it was about time to highlight the best movies I've seen so far. Hands down one of the best movies I've seen this year, and in a long time, was Fantastic Beasts and Where to Find Them. I was blown away by the plot (not that I am surprised, because J.K Rowling is a mastermind), the fabulous casting and all the beautiful details, like the different Beasts and buildings. It is fantastic to explore this side of the Wizarding world. was a big fan of Eddie Redmayne and Dan Fogler, but I'm still not on board for the casting of Johnny Depp for Grindelwald.. But I am very happy there will be more movies. After all these years, I am still a proud Potterhead and this movie gave me the same magical feeling. If you haven't heard yet, Fantastic Beasts tells the story of Newt Scamander, who is the author of the book Harry Potter has to study at Hogwarts. He arrives in New York with a suitcase full of Fantastic Beasts - and then some of them slip away. Newt has to find them, together with Jacob a no-maj (Muggle), Tina Goldstein the former Auror for MACUSA and her sister Queenie Goldstein. Something darker is roaming around New York and before they know it, they are part of it. Three other movies that definitely did not let me down where the live movie version of Jungle Book, Inside Out and Zootopia. Disney never fails to impress me. What I loved most about Jungle Book were the original twists they used, yet they managed to stay true to the original story. Inside Out has a powerful message and I love Sadness. It shows different emotions in the head of a young girl. Things are about to get really messy and it is up to Sadness and Joy to fix it. Zootopia had such a funny sense of humor. A cynical con artist Fox and a rooky bunny cop have to work together to uncover a conspiracy that is about to change their society. I also finally went ahead and watched Captain America: Civil Wars. I don't know what took me so long, because it was good. I really hope everyone will be friends soon though, because I hate to see them fight. There is tension between former allies Captain America and Iron man – and everyone else has to pick a side. Not long after it I watched Deadpool and I laughed so hard. It is brilliant and does a great job at portraying the anti-hero. He became part of an experiment that left him with healing powers and he is now on a quest for revenge. To end this, I'm going to list two feel good movies. The first one is something I was ashamed about, but now I can finally say I've seen The Sound of Music and I loved it. I enjoy musicals and this was just adorable. Maria is so sassy, haha. She leaves the convent to become a governess to the children of a Naval officer widower. And I was pleasantly surprised by The Intouchables. I tend to stay away from foreign movies (this is French), but I heard good things about this one and decided to give it a shot. It blew me away with its subtle humor. The movie is about a paralyzed man who hires an ex-deliquent as caregiver and the two of them grow really close. Have you seen any of these movies or are you interested in any of these? Review 270 | Three Dark Crowns - Kendare Blake. Source: Edelweiss and publisher, thanks! I also received a finished copy from Van Ditmar. Every generation on the island of Fennbirn, a set of triplets is born: three queens, all equal heirs to the crown and each possessor of a coveted magic. Mirabella is a fierce elemental, able to spark hungry flames or vicious storms at the snap of her fingers. Katharine is a poisoner, one who can ingest the deadliest poisons without so much as a stomachache. Arsinoe, a naturalist, is said to have the ability to bloom the reddest rose and control the fiercest of lions. But becoming the Queen Crowned isn’t solely a matter of royal birth. Each sister has to fight for it. And it’s not just a game of win or lose…it’s life or death. The night the sisters turn sixteen, the battle begins. The last queen standing gets the crown. If only it was that simple. Katharine is unable to tolerate the weakest poison, and Arsinoe, no matter how hard she tries, can’t make even a weed grow. The two queens have been shamefully faking their powers, taking care to keep each other, the island, and their powerful sister Mirabella none the wiser. But with alliances being formed, betrayals taking shape, and ruthless revenge haunting the queens’ every move, one thing is certain: the last queen standing might not be the strongest…but she may be the darkest. I was fascinated by the promise of this book from the moment I read the blurb and it did not disappoint me. Kendare created a story that is not like any other I've read this year and I am now highly anticipating the sequel. Fennbirn is ruled by one Queen, but getting that title is a dangerous game. Every generation a set of triplets is born and each baby possesses their own magic: Elemental, Poisoner and Naturalist. The night they turn sixteen, the battle for the crown begins and the last one standing is the new Queen. Three Dark Crowns tells the tale of Mirabella, a strong and fierce Elemental who is rumored to the be one to finally push the line of Poisoner Queens of the throne. Katherine is a Poisoner, but her magical abilities are shallow and there is a lot of pressure on her shoulders. Then there is Arisinoe, a Naturalist who is not nearly as powerful as the rumors claim she is. It is clear that this round is not about the strongest, but the darkest/most ruthless one to claim the throne. The story is divided into chapters, each switching between the three sisters. This could have been confusing, but works well in this situation. It gives us the ability to see the situation through three different eyes; how each of the possible Queens deal with their power and the upcoming battle. I liked all three of them, but felt that Mirabella was the most distant voice. Her part of the story gripped me less than the struggle from both Katherine and Arsinoe. Katherine has to deal with trials to make her body adjust to the presence of poison, but it is a painful and slow process. Arsinoe is in a better situation, with her powerful friend Jules who will do anything to keep her safe. The writing-style was good, but some parts still dragged a little. The ending (while I was anticipating that turn of events) made me grin. The sequel promises to be interesting and I can't wait to see how it all wraps up. Are these three sisters going to change the way their country is ruled for years – or will one of them finish it all? two to devour and one to be Queen. Talk Bujo to Me | October '16. For October I decided to go with the Halloween theme throughout all my spreads, so here I doodled a few pumpkins and a little ghost in the left corner. There are different ways to use Monthly logs. I really like the have these squares, making it look like a calendar, but you can also write down the dates in a list. I used that method at the beginning of my bulletjournal, but my current log gives me a better overview. I did watch Corpse Bride, which is perfect to watch this time of the year, The Secret Life of Pets (was okay) and I continued with the second season from Marco Polo. 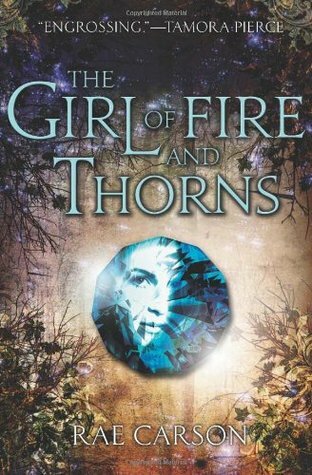 Series review | Rae Carson – Fire and thorns. 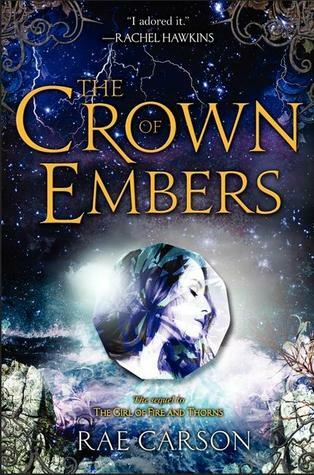 I have reviewed the first two books before, which you can find here: Review: The Girl of Fire and Thorns and Review: The Crown of Embers. I also reviewed the novella in this series: Review The Shadow Cats. That novella is now part of a published book called The Girl of Fire and Thorns short stories. This book includes a story about Elisa's sister, A HECTOR story and one about Mara. I recommend it if you are firm fan of the series, but it is not necessarily for the overall story. 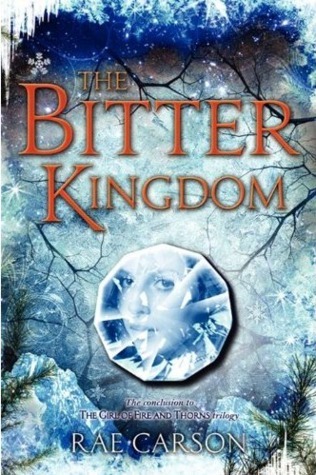 Before I finished the series with the conclusion, The Bitter Kingdom, I reread the first two books. Since this is one of my favorite series, I thought it might be a good idea to highlight it by doing a series review. This review is spoiler-free! I will only point out all the things I love, without going into details. The first thing what makes this series so good is the magical writing-style from Carson. It reads so fast and it always makes you want to read more, more, more! She uses enough details to create a wonderful world and interesting characters without information-dumps. I was completely sucked into the story and I had no problems imagining I was there. The pacing is very nice. It’s consistent and there is never a boring moment in this fantastic plot. The second thing is the emotional rollercoaster. This book takes you from happiness down to the bottom of disaster. I’ve laughed and cried together with Elisa and her friends. I’ve felt triumph and sadness. I felt so connected to the characters and their faith, that I was able to feel all their emotions. It’s one hell of a ride! Be prepared for all the feelings, because there are heart-breaking scenes and moments with a lot of action and tension. There are also touches of romance that made me swoon. The third thing I want to mention are the characters. We see Elisa develop from someone who isn’t happy with herself to someone who embraces her personality and power. She transforms from the over-weighed, shy girl into a leader with clever decision. I absolutely love Elisa. The only thing that could have been improved is that I would have loved to see her self-image change, instead of her weight. Despite that, I found Elisa strong in her own way and intelligent. Her flaws are her strength and it’s not strange that people are willing to die for her. No review is complete without mentioning Hector and Humberto. I’m not going to say anything more about them, but you definitely want to meet these guys! There are also more secondary characters, all with distinctive voices and roles. I especially liked Mara, Tristan and Storm. Storm is sarcastic and never afraid to speak his minds, which ends up with blunt and harsh (but honest) words. The last thing, and that is always important for me, the quality of the story is amazing. There is a build-up in the first two books and it explodes and delivers in the last book. The plot continues to be interesting in every book; there is no second-book-syndrome. It also ends like I wish all books/series ends: everything tied together, satisfying. No anti-climax or disappointing conclusion here! If you love High-fantasy, strong and interesting characters and a fantastic plot, this is a series you have to read!